To be released in 2016 in response to heightened positive fan base from 2014 Godzilla movie. I'm down. The first one, I sat in the movies just looking at how massive they made Godzilla. Not bad. <div class="forumQuote"><b>OhYesMar$h Wrote:</b><br/>I'm down. The first one, I sat in the movies just looking at how massive they made Godzilla. Not bad.</div> <br/>Heads up: This is the announcement of the return of Japanese made Godzilla, so size and style may be subject to change. Heads up: This is the announcement of the return of Japanese made Godzilla, so size and style may be subject to change. I prefer they kept Godzilla at 115 meters like the 2014 version or 100 meters like the Heisei version. He always felt more intimidating at that size. They should also give him that toothed scowl like the Heisei and Millennium versions, but make it completely different from them. Maybe even add some more maple leaf spikes on his back or shoulders. <br/> <br/>Now if there's one fight I would be itching to see in a future Toho movie, it's Super Godzilla vs Bagan. Bagan was the final boss in the video game Super Godzilla and a badass looking kaiju. Bagan was even supposed to star in two separate Toho movies fighting Godzilla and Mothra, but both those projects got canceled due to other production plans and financial problems going on at the time. Godzilla fans ever since have been waiting for this kaiju to appear and this next movie is a great opportunity for Bagan to finally make his appearance. I prefer they kept Godzilla at 115 meters like the 2014 version or 100 meters like the Heisei version. He always felt more intimidating at that size. They should also give him that toothed scowl like the Heisei and Millennium versions, but make it completely different from them. Maybe even add some more maple leaf spikes on his back or shoulders. Now if there's one fight I would be itching to see in a future Toho movie, it's Super Godzilla vs Bagan. Bagan was the final boss in the video game Super Godzilla and a badass looking kaiju. Bagan was even supposed to star in two separate Toho movies fighting Godzilla and Mothra, but both those projects got canceled due to other production plans and financial problems going on at the time. Godzilla fans ever since have been waiting for this kaiju to appear and this next movie is a great opportunity for Bagan to finally make his appearance. - Initial Cast Announced for Toho’s Shin Godzilla; First Plot Details! Shin Gojira takes place in modern-day Japan, which has suffered an attack by the Big G. It isn’t long until the United States gets involved in the chaos as a means to try to help. For the cast, the choice to join Shin Gojira was an unnerving one as everyone felt intense pressure given how big of an icon Godzilla is. However, upon reading the script by Hideaki Anno and his directing and writing partner Shinji Higuchi, everyone decided to sign up for active duty. Japanese actor Hiromi Hasegawa is the male lead character. Hasegawa’s character is an honest and straightforward kind of guy. Yutaka Takenouchi plays the role of a Japanese government official who’s seen his country devastated. In the article Takenouchi states that this 29th Godzilla film, like the 1954 film, will be one of the strongest Godzilla entries into the series. Satomi Ishihara plays a U.S. Agent and the heroine in the movie. Apparently, Ishihara herself shed tears while reading the script for Shin Godzilla at home. She went on to say that the pressure weighs even heavier on her because as the heroine of a Godzilla film, she feels greatly responsible to deliver the best performance she possibly can. The article also goes on to say that Godzilla (2014) has set the height bar of the creature at 108 meters, but Shin Gojira is expected to exceed that, thereby becoming the largest incarnation of Godzilla to date. Executive producer Yamauchi confirms that Shin Gojira IS the official movie title. As the title indicates, Shin Gojira is meant to be an expression of resurrecting the true Godzilla. This Godzilla will invoke the fear of God into everyone whose path he comes across, a testament to the “God” part of his namesake. Co-writer/co-director Hideaki Anno states that the film’s title will also have a variety of meanings given the feelings that everyone invested into both the icon Godzilla and the film itself. Shin Gojira started production on August 10th, shooting in the Kanato suburbs of Japan, and plans are to complete filming at the end of October. 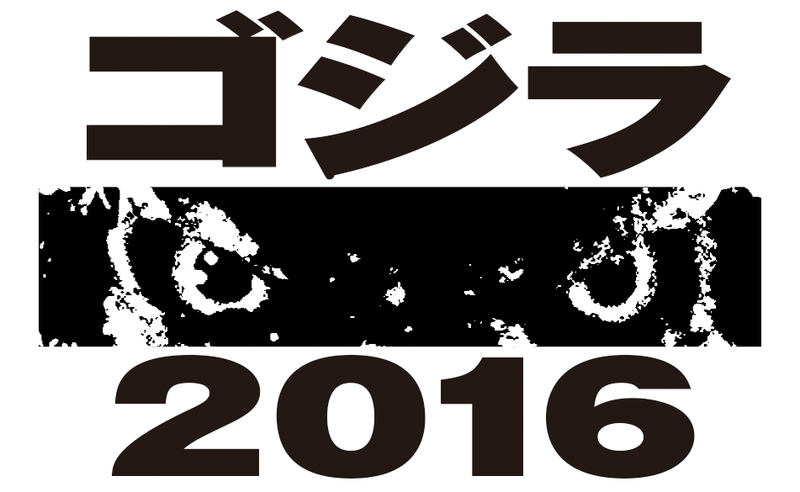 Shin Gojira will release in summer 2016. I wish they'd stop making him bigger. - <strong><a href="https://www.youtube.com/watch?v=192nSuo_FMM" target="_blank">åºµéç§æÃæ¨å£çå£ã®ã´ã¸ã©ï¼ãã·ã³ã»ã´ã¸ã©ãç¹åa± </a></strong> [YouTube] <br/> <br/>Guess who's coming to dinner! - <strong><a href="https://www.youtube.com/watch?v=ysRIwlEBjuw" target="_blank">『シン・ゴジラ』予告 </a></strong> [YouTube] <br/> <br/>New trailer. Not as thrilling as I might hope. <br/> <br/>That CG head shake at the start looks like some bad video game cut scene animation, and the straight live-action looks really cheap, too. Cheap and visually uninteresting. Godzilla himself is pretty cool, though. That sweeping tail shot is gold. <br/> <br/>I hope everybody can work out their differences okay. New trailer. Not as thrilling as I might hope. That CG head shake at the start looks like some bad video game cut scene animation, and the straight live-action looks really cheap, too. Cheap and visually uninteresting. Godzilla himself is pretty cool, though. That sweeping tail shot is gold. I hope everybody can work out their differences okay. Hmm, that face on shot he looks like a cat with bark for skin... iirc thats in some of the older movies also. They need to revise/reboot Space Godzilla. I liked the crystals, n his powers. I hope they actually plan to release it in others parts of the world than Japan. - <strong><a href="https://www.youtube.com/watch?v=M89VLZgo1Vg" target="_blank">『シン・ゴジラ』予告2 </a></strong> [YouTube] <br/> <br/>New trailer. Some classic Godzilla style action in there -- avoid if you don't want it spoiled! New trailer. Some classic Godzilla style action in there -- avoid if you don't want it spoiled!